2013 was not a sports powerhouse year as there were no major events throughout the year but that wouldn’t stop the stories from coming. There was plenty to talk about this year despite the lack of major world events. It was a year of great surprises but one aspect of the year took over the rest. 2013 was not the most positive year for sports as heroes fell almost monthly in a year that was not great for those who support the merits of sports and sports figures. This year was one that would truly test sports fans as the year would see so many examples of how to live life show that they are not the people to look up to. It is a lesson that all sports fans must learn as the heroes in sports are not necessarily the people to model life after. There are countless numbers of great athletes who truly are great people but many of them do not make the most noise. There are many athletes in the limelight that are not necessarily who we think they are and in 2013 many of these athletes showed that. Some would throw away a second chance while others would not deserve a second shot at winning over the fans. Although there was a lot of negativity this year it was not dominated by the fallen heroes. Instead there were plenty of stories of acceptance and of redemption along with one story of fighting for a broken city. Unlike many of the negative stories these stories would highlight the greatness of sports and what they can do for people. It is another lesson that many need to learn as idols may not be idols but sports will always be able to bring people together. It is a powerful aspect of the world as sports can change everything in society. The most potent example is from Nelson Mandela who passed away this year and used sports to unite South Africa. He would use Rugby, traditionally a white sport, to unite a divided country and when South Africa won the World Championship the power of sport was realized. This is the power that sport has in the world and in 2013 there were a number of great stories that made all sports fans and all people feel a little bit better about the world. Sport will continue to have this effect and with a major sports year coming up there is a lot of anticipation to see what will happen in 2014. There will be more heartbreak and more joy and sports will take the focus for a number of months when the Olympics and World Cup takeover the world next year. 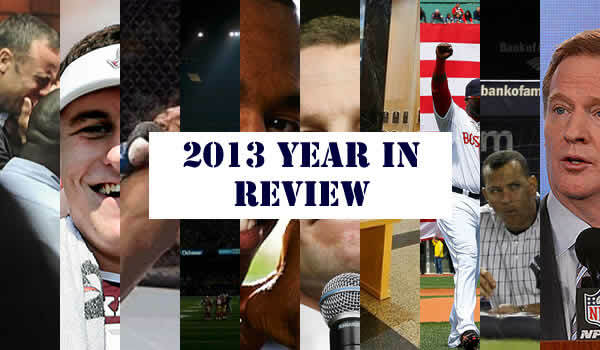 As the anticipation builds for a new year full of sports it is time to reflect on the year that was, warts and all. These are the stories that made headlines this past year as they would all grab headlines and were the head of conversations throughout the year as The sport Addiction takes a look at the year that was. The UFC would continue to be one of the fastest growing sports in the world for 2013 but the year would also mark the end of an era. The UFC has grown leaps and bounds since 1997, when the Fertitta Brothers purchased the promotion and named Dana white President, and in the biggest period of growth had faces of the sports. These faces marked the most dominant champions in UFC history in Georges St. Pierre and Anderson Silva. These two fighters would mark two of the main draws for the UFC and would also rule their divisions for years. They were the faces of the UFC during the largest growth of the UFC. In 2013 their era would come to an end though as both fighters would step aside this year to end their reigns in the UFC. Georges St. Pierre would step aside willingly after fighting a very close fight against Johnny Hendricks. The fight would see St. Pierre come very close to losing his title but would continue to hold the title. Shortly after he fought that fight that left many questions St. Pierre would announce his semi-retirement. He would claim to be stepping away from fighting for a while and would vacate the title but with age creeping up and other interests adding up St. Pierre seems to possibly be done in the UFC. Then there was Anderson Silva who would reluctantly step aside when the most dominant fighter to ever step into the octagon would be beat for the first time. 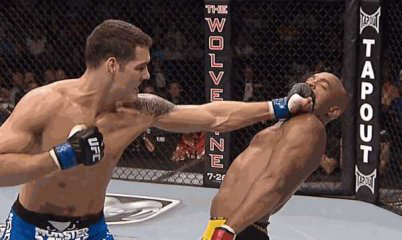 Chris Weidman would take the Middleweight title from Silva and would do the same when Silva broke his leg at UFC 168. The broken leg and the two losses seem to be the end of a legendary career and the second legendary career to end in 2013 as a new era will begin in 2014 with the giants of the UFC falling in 2013. 2013 would begin with the NCAA National Champion but it was not the biggest story in college football. For the first time ever a freshman had been named the best player in the NCAA as Johnny Manziel would take home the Heisman Trophy for the 2012 season. As the National Championship moved on the questions about just how good the man known as Johnny Football could be in 2013. Then pictures of Manziel partying would begin to surface, normal enough for a college player, and it would start the firestorm for NCAA’s golden boy. There were videos of Manziel being kicked out of a University of Texas party and reports that he was having issues dealing with his newfound stardom after his Heisman season. The issues became more serious as the summer went on with reports of him leaving the Manning Passing Academy for oversleeping and his comments about wanting to leave College Station. Then came the most serious issues when Manziel was accused of accepting payment for signing autographs in a clear violation of NCAA rules. 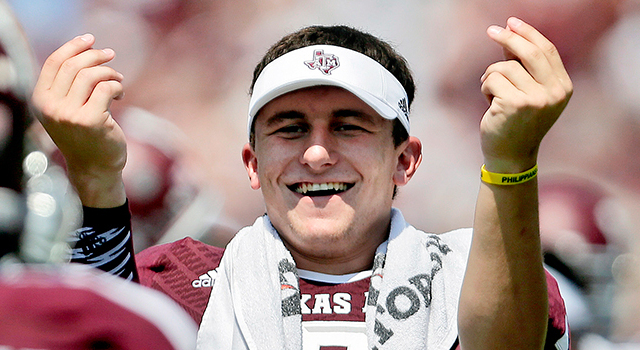 The accusations, if proven to be true, could have resulted in Manziel being suspended for the season. Luckily for Manziel there was no evidence to show that he had accepted payment for the autographs and the NCAA would suspend him for the first half of the opening game due to his lack of cooperation with the investigation. When Manziel returned to the field signs that he had matured were not seen after scoring a touchdown and making a gesture to suggest that he was not sorry about the accusations and led many people to wonder if he had truly accepted money. Manziel would have another good year for the Aggies but his actions off of the field would hurt his chance at a repeat Heisman and have already hurt his draft stock as Manziel had a year to forget off of the field. There has been a debate for a few years now as homosexuality becomes less taboo in the world while the sports world seems to stay the same. Talk of the first ever openly gay athlete has been swirling for a while especially with more retired players coming out. Still though, there was nobody in sports that had stepped out into the limelight and come out of the closet while they were still playing in their respective league. That is especially true for the big 4 in North America as no player had stepped out as the first openly gay athlete. In fact much of the opposite would happen as a handful of players were quoted as saying they would not want a gay athlete in their locker room. Still the public perception is very different than it was 5 years ago and being gay is nowhere near as shocking as it once used to be yet in sports that stigma of being gay seemed to remain. That was until 2013 when the first openly gay active athlete would step out as a pioneer and a hero to many. 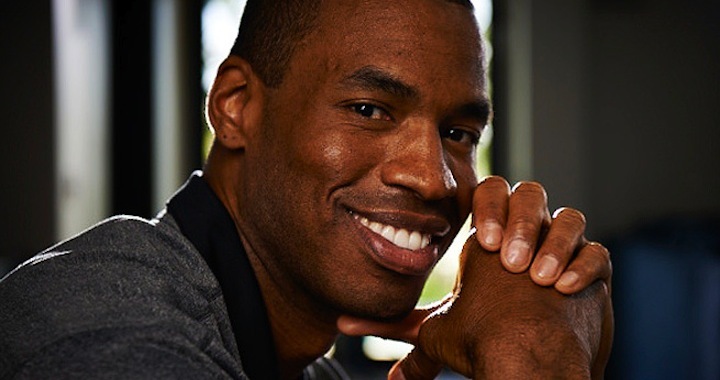 Jason Collins would write a story for Sports Illustrated this year explaining his reasoning for coming out as the first openly gay athlete in major sports. It was a shift in the sports world but would leave a lot of questions. Somehow this very brave act would seem incomplete as Collins was an aging free agent in the NBA that was likely not going to be signed for the new season. As brave and as many walls were broken down by Jason Collins there is still a want for an everyday great player to step into the limelight as another openly gay athlete and there is hope that the bravery of Jason Collins this year can lead to a more open sports world. 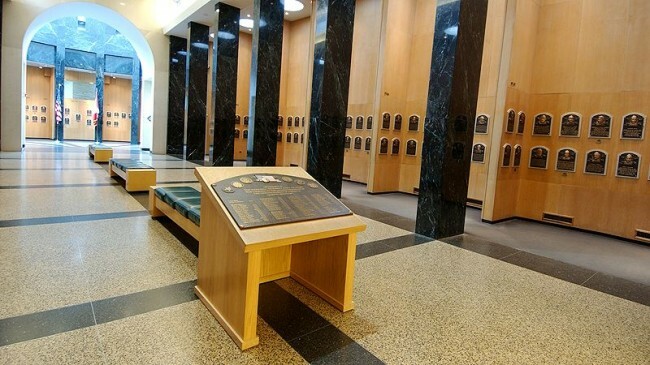 The Baseball Hall of fame is notoriously hard to get into as they only elect fewer than a handful of players every year. Some very good players have had to wait years for induction and there is almost nobody that is guaranteed a first ballot induction. The voters are also notorious for sending messages with their votes. If the baseball writers do not like a player there is no chance that they will get in. Even Roberto Alomar had to wait a year in large part because of the incident where he spit on an umpire that would rub many writers the wrong way. There was not clearer message than in 2013 though when the Hall of Fame voters would choose to elect nobody into the Hall of Fame. The message would come at the time when some of the greatest players in the history of baseball were up for election. The only issue with these great players is that all played during the Steroid era of baseball and all of them were linked to steroid at some point. Roger Clemens, Barry Bonds, Rafael Palmeiro, Mark McGuire, and Sammy Sosa were all up for election but none would earn the votes. It was a clear message that the baseball writers were not going to tolerate cheaters in their Hall of Fame. Whether or not these players will make it into the Hall of Fame in 2014 or beyond remains to be seen but a message was sent in 2013 and it would be the continuation of one of the ugliest eras in the MLB. The Hall of Fame Class of 2013, or the non-hall of fame class of 2013, will forever be remember as the steroid class. It was a shining reminder of the Steroid era in the MLB and will hopefully be a sign that cheaters will never be allowed in the Hall of Fame no matter how good they used to be. 2012 would see the fall of one of the most inspirational athletes in North Americans Sports and in 2013 the fall continued. 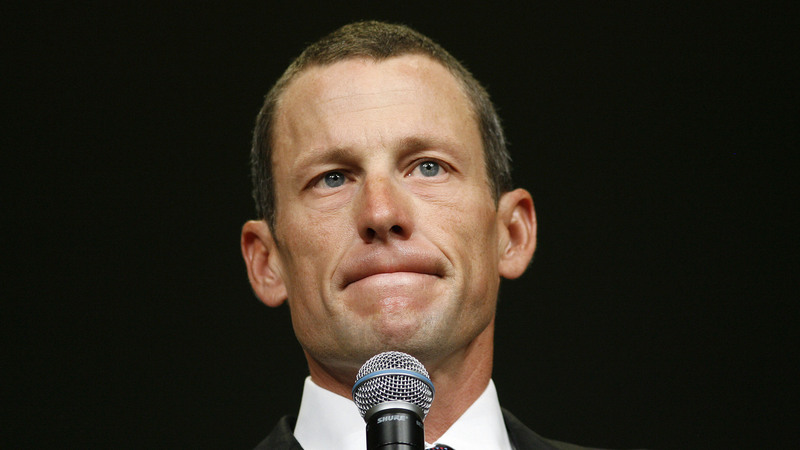 Lance Armstrong had been a sports hero after overcoming cancer to win 7 Tour de France titles. It was an amazing accomplishment and a dominant era in cycling but it all turned out to be a hoax. For year while Armstrong was in the Tour de France people would accuse him of doping and that is what made him so dominant. The accusations would rise more and more in 2012 and eventually the USADA would launch an investigation. Through the investigation it was revealed that the accusations of cheating were true as a case was built with multiple witnesses. Old teammates and fellow races would come forward and would build a case that would see Lance Armstrong labeled as a cheater and all of his accomplishments taken away. Throughout the entire investigation Armstrong maintained his innocence claiming that it was just another false accusation. Armstrong had gone through these accusations before but this time it was his own country and this time more people stopped believing him. As the calendar changed to 2013 the investigation had taken its toll and Lance Armstrong had been worn down. That is when he would officially admit to using steroids and to blood doping in an interview with Oprah. It was the final dagger in the legend of Lance Armstrong and it would kick off a year where a number of heroes would fall. Armstrong would set the tone for the year and him admitting to cheating was a story that would dominate the beginning of the year. It was the final fall of a North American Sports hero but it was far from the only hero that would fall in 2013 as Lance Armstrong was just the tip of the iceberg for 2013. It is one of the biggest events in North American sports every year as the Super Bowl grabs the attention of millions of people. 2013 was no different as the Baltimore Ravens and the San Francisco 49ers would meet in New Orleans to determine the champion of the NFL. The game was full of great stories with Ravens leader Ray Lewis retiring after the game and the up and coming Colin Kaepernick leading the Niners in his first half a season under centre. The fact that the two teams were coached by the Harbaugh brothers made it even better as Jim and John Harbaugh were fighting for family dinner bragging rights. The game would start by looking like one of the least competitive games in Super Bowl history. The Ravens would crush the 49ers leading 21-6 after the first half. The Niners were in need of a big change in the second half as they were looking to make a big comeback and get into the game. Then one of the strangest things in Super Bowl history would happen. The power would go out for half of the field at the beginning of the second half and would cause a 34 minute delay in the game. 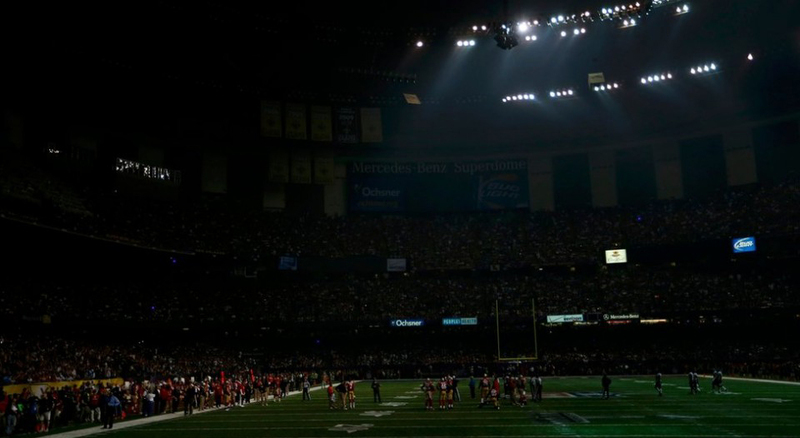 It is another chapter of NFL history and would become the biggest story of the Super Bowl as it will forever be known as the Blackout Bowl. The effect would be seen on the field as well with the Niners mounting a comeback after the blackout. The 49ers would score 25 points after the blackout compared to 13 by the Ravens. It was not enough to get the win as the Ravens would crowned champions but the blackout had a major effect and made this game an interesting one. The debate started after as to what had caused the blackout and whether it was the halftime show or something else but one thing is for sure the Blackout Bowl will always be remembered. Concussions have been one of the biggest stories in the NFL for the better part of the last three years. There have been changes to rules and a much bigger concern for player safety as more and more has been revealed about concussions and their effects. With more former players seeing issues after they are retired the NFL has been charged with trying to figure out how to make a violent sport less violent while keeping the integrity of the sport. The NFL would have a different type of battle to fight this year though when over 1,000 players would file a class action lawsuit against the league. 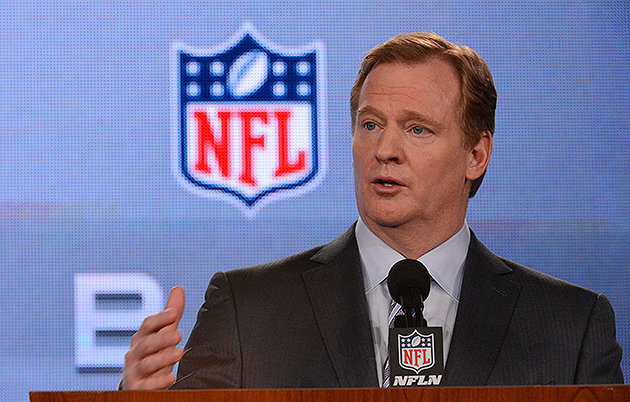 The lawsuit would claim that this new knowledge of concussions was not so new to the NFL. It was based on the accusation that the NFL had always known about the dangers of concussions but they chose to hide it from the players. The lawsuit would claim that the NFL had always known the danger of concussions but would not do anything nor would they inform the players of the dangers. Retired players would sue the league in an attempt to get compensation for the issues that they now face and trying to get the league to pay for their medical needs for injuries that they claim the NFL knew they would deal with. Of course the NFL would state that they never knew the dangers and that they do not necessarily owe these players anything. The NFL also knew that going to a long drug out court battle was not a great idea for their image and so they would settle out of court. The NFL would pay $765 million to the members of the lawsuit in what was a small payment for a massive league but a way to get away from the bad image of the lawsuit and an attempt to move on from the concussion era of the NFL. The MLB was looking to start a new year and start to move away from the Steroid era in baseball but it was not a goal they could achieve. The MLB would just be finding themselves away from the Steroid era when all of a sudden a new scandal would break out in 2013. The beginning of the year would see the Miami Herald release documents from a local anti-aging clinic that would link multiple players to the use of steroids. The Biogenesis clinic was officially an anti-aging clinic in Miami but it would also become the place to go to get steroids for many MLB players. The article from the Miami Herald would begin a year of investigation and lawsuits for the MLB. The league would look to launch their own investigation into the Biogenesis clinic but would not receive the documents from the paper. Instead they would sue the owner of the clinic Anthon Bosch in order to receive documents from the clinic and discover if the clinic had truly supplied players with steroids. As the season approached Bosch would agree to cooperate with the MLB in exchange for being removed from the lawsuit. It was the beginning of the end for many players in the MLB as the investigation would reveal a number of players who had received steroids from the clinic. The names would include Nelson Cruz, Ryan Braun, Jhonny Peralta, and the biggest name in Alex Rodriguez. 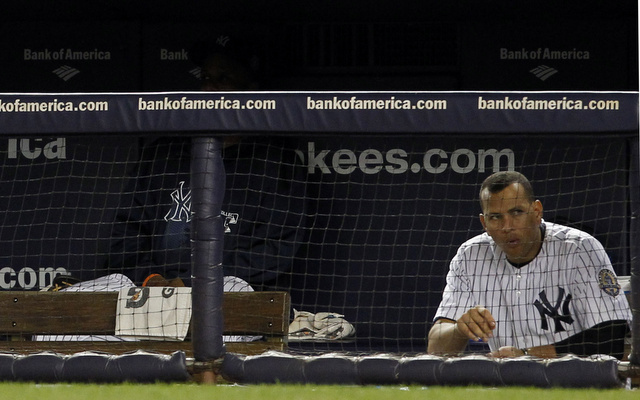 The entire scandal would fall to Alex Rodriguez who would get 211 games for his involvement in the scandal but would appeal the suspension claiming that the MLB was just out to get him and that he had never been to the Biogenesis clinic and certainly never deserved that many games. The appeal still remains but more than that the MLB would see a continuation of steroids in the sport as they can’t escape their sordid past. The year was still young on April 15 and the summer was right around the corner as the Boston Marathon was about to begin. The Boston Marathon is almost a sign that summer is coming as the outdoor event is at the very beginning of the outdoor sports season. It was another great day as thousands of people were out to participate in one of the biggest marathons in the world. Then everything went wrong as in mid-afternoon two bombs would be set off killing three people and seriously injuring 264. 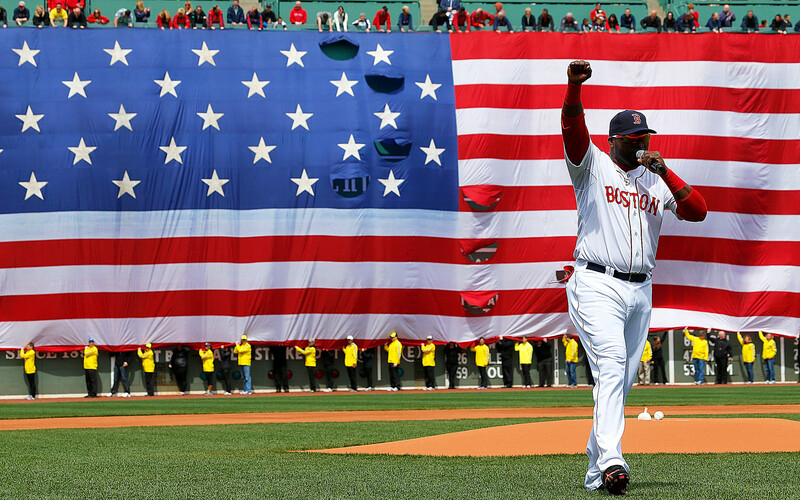 It was a shocking day and a day that would rock sports fans and the city of Boston. The days that followed would see manhunts and shootings with suburban neighbourhoods shut down across Boston. After the hysteria and the shock wore off Boston was left to recover from one of the darkest periods of their long history. This is where sports would step in to heal the pain of the city and provide an escape from what had happened. Only a year before, the Boston Red Sox had finished out of the playoffs and were one of the worst teams in the AL East. They would rebuild their team for 2013 and with their season in the early stages during the bombings the Red Sox would put the city on their back. The Red Sox would take the motivation of helping their city heal and take it to the top of the division. Then they would take it to the end of the season where they would win the World Series in a season dedicated to their city. For Bostonians the year would start off in the worst way possible with a sporting event at the centre of a terrible attack but sports would bring the city and the country together in one of the biggest stories of 2013. In 2012 Oscar Pistorius was among the best sports stories of the year and had immediately become a hero to everyone. The man known as bladerunner would overcome the limitations of his disability to become the first double amputee to ever race in the Olympics. Pistorius was born with Fibular Hemimelia and would have his legs amputated when he was 11 years old. Although he would lose both of his legs Pistorius would grow up to be an Olympic caliber athlete using his blades to run in the Paralympics. In 2012 he would use those blades to qualify for the Summer Olympics and would race in the 400 metre race. It was an inspirational story of a man who overcame so much to achieve the peak of his athletic achievement and he would immediately become a hero to all sports fans around the world. 2013 was a much different year for the Blade Runner though as February would mark the fall of a sports hero. 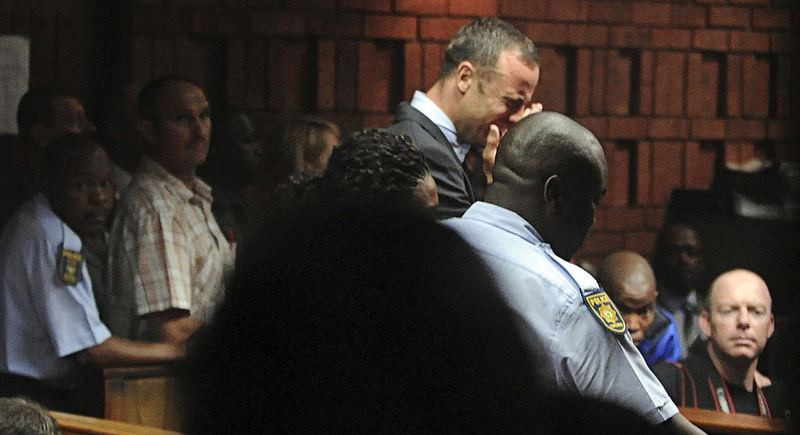 Early in 2013 Pistorius would be arrested and charged with the murder of his girlfriend Reeva Steenkamp. The charges would come after a night when Steenkamp was shot while in the couples bathroom. The shooting is not in dispute as Pistorius had admitted to shooting Steenkamp but claimed that it was out of self-defence when he believed it was some breaking into the house while the state would claim that he knew who it was and that he shot her in cold blood. Reports of Pistorius being arrested and the rocky relationship between the two would shed a different light on the Olympic hero and would shine a light on something that many did not want to see. The trial is set for March 2014 as Pistorius’ life will be light up as the once inspirational story is far from that now as he has become an example of why putting people on pedestals is a mistake.